There are so many reasons to get out on the water with a jet ski and we can provide the jet ski finance you need. A jet ski is the ultimate boy’s toy however it can also be a great family investment. A jet ski gives you the freedom to chase the adrenaline rush of wave jumping and free styling or having family fun with the kids tubing, wake boarding and even whale watching. Don’t sit idle – apply today with AAA. Low fixed interest rates – We have a large range of lenders to ensure that we get you the lowest interest rate and best loan terms based on your individual circumstances. Let the thrill of some air time be your heart starter – not the loan repayments! Easy application process – Apply online or call and speak with a finance expert. An over-the-phone application just takes 5 minutes. Quick loan approvals – most loans approved within 24 hours. Flexible loan repayments –repayments that can be direct debited weekly, fortnightly or monthly with loan terms ranging from 1 to 7 years. What jet ski finance options does AAA offer? The most cost effective loan on offer is a secured jet ski loan. With this type of finance the jet ski is used as security against the loan. Extra repayments can be made without penalty and these extra repayments reduce both the term of the loan and the amount of interest payable. Another option is to use an unsecured personal loan to purchase your jet ski. Loan terms vary from 1 to 7 years and the interest rate is fixed. Again repayments are flexible with either weekly, fortnightly or monthly direct debit transfers. If you have just started looking for your new jet ski apply for a pre-approved jet ski loan. A pre-approved jet ski loan consequentially allows you the certainty when shopping that your funds are approved. Furthermore, it also ensures that your new purchase will be within your budget. Dreaming of a jet ski but don’t think you can get a loan for it? Contact our finance experts to get the right finance solution for your circumstances. Call 07 5493 1222 to discuss your loan requirements with our friendly finance experts. An over-the-phone application takes only 5 minutes. Make an online enquiry. Complete the form on the right hand side and we will be in contact with you promptly. Apply for pre-approved jet ski finance. Stop dreaming of the freedom of a jet ski – start shopping!! 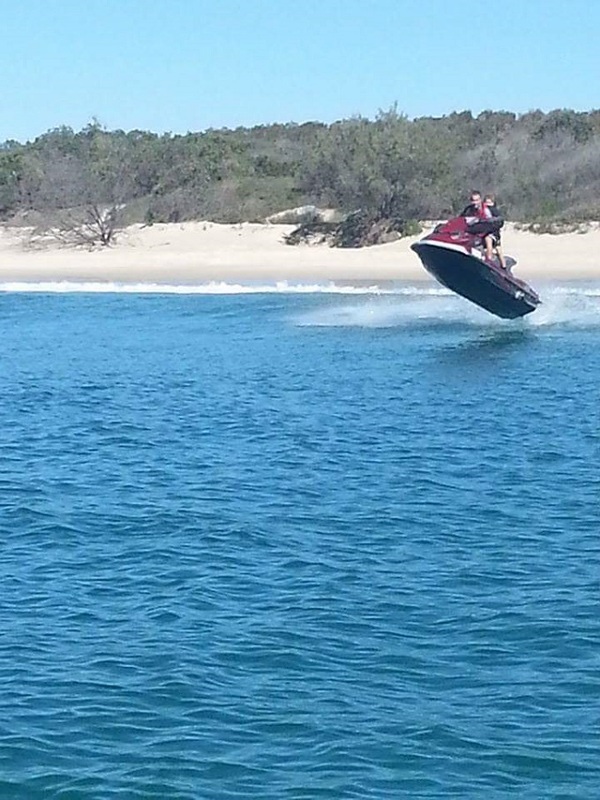 The safety equipment required for your PWC depends on where you are riding – smooth waters, partially smooth waters and beyond partially smooth waters and also how far you are from land. While each state has its own rules and regulations so make sure you check with your own state or territory transport department. Safety is important so here is a list of essentials that should be packed in your jet ski every time you venture out. PFD’s are a vital piece of safety equipment that could save your life. When choosing a PFD, it’s important to select the correct model for jet skiing. There are many options of type 2, 3 or Level 50 PFD’s on the market. Furthermore PFD’s with handles on the side are very useful for passengers to hold onto especially when freestyling. PFD’s with a collar – known as type 1 or Level 100 are NOT to be used by jet ski riders, passengers or those involved in tubing and skiing. The collar interferes with the head whilst riding and can cause serious neck injuries for riders and passengers coming off at high speeds. An anchor with rope and a float. When out enjoying the water with family and friends, sometimes you need some down time onshore. An anchor with a float is the safest way to moor your PWC. You don’t want your pride and joy bashing against rocks or for the tide to go out and be marooned on the beach. The float allows you to leave the anchor and rope in the water and hook up as needed. We recommend the medium 1kg cooper nylon anchors. An important tip is to store you anchor in an anchor bag because if wave jumping is on the cards your anchor could damage the storage compartment.